It is a deep cleanser consist of natural oil blend components. It cleans the dead skin cells and sebum in scalp. 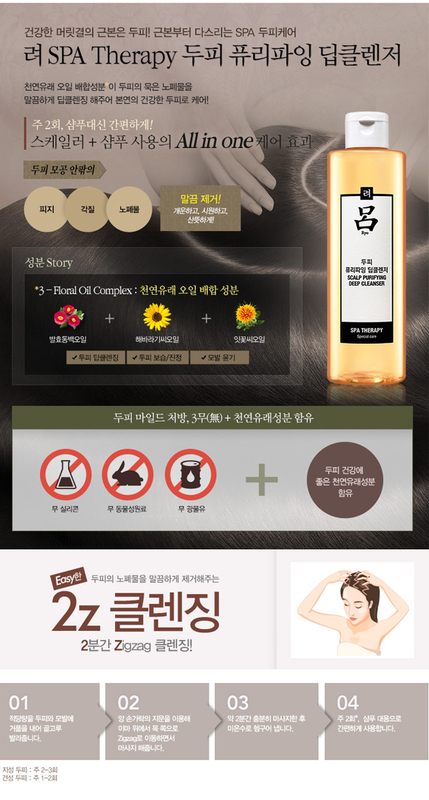 Contains 3-Floral Oil Complex(Fermented Camellia Oil, Sunflower seed oil, Safflower seed oil) to deep scalp cleansing. Massage through hair from roots to ends. For dry or damaged hair, leave in for two minutes.